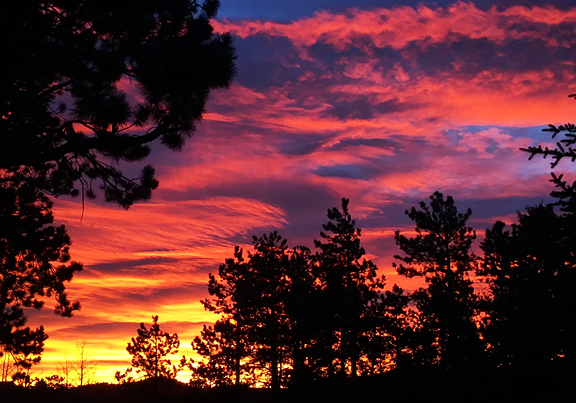 Instead of snow, we seem to be getting a lot of dramatic and colorful sunrises and sunsets. To be honest, I’d rather have the snow… or both! I would not say no to powder days and glorious sunworks on the clouds overhead. Mother Nature is stringing us along with a few dribbles of snow every 7-10 days or so, but that isn’t enough for a proper snowpack let alone a proper ski season. It’s a good time to keep your head down and plow through everything that needs to be done before the end of the year. My goodness, how is it December already? 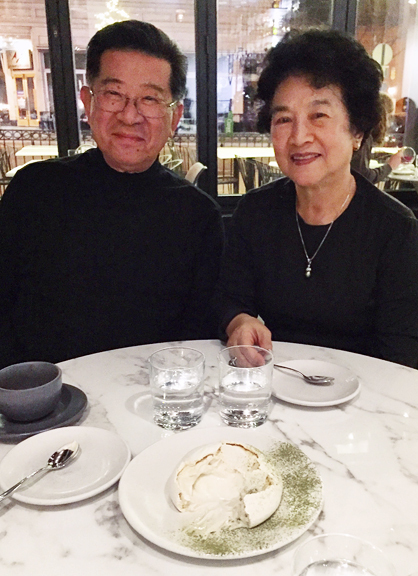 My parents returned to Virginia last week. Whenever they are about to leave Colorado, they unload a lot of unused groceries on me. Despite my suggestions that they only buy what they need while they are here, they cannot pass up a deal at Costco or a sale at Nordstrom. So I was given two couch pillows (they upgraded theirs), a few pounds of frozen organic chicken thighs, a pound of hot smoked salmon, half a pint of salted caramel gelato, and a host of other random things. It’s fine. I’ve given up fighting this because I use up, give away, donate, or repurpose whatever they leave for me and they can fly home feeling that there are no loose ends. Last night’s storm dropped about an inch of snow in our yard as of this morning. While that might be disappointing for those of us who like to strap our feet to boards and slide, I have to look on the bright side and welcome the cold spell that arrived with the storm. Cold is good. Cold means the local mountain can make snow. Cold means what little snow does fall won’t evaporate or melt away in minutes under 50 degree weather. Cold also means baking season! 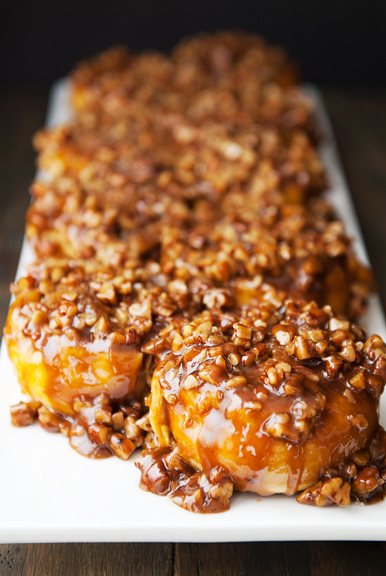 How about some pecan sticky buns? I actually made these back in the spring, but ran into some issues with less than stellar results. Deb’s recipe called for 3 3/4 cups of flour or 470 grams. I measured with cups and found the buns to be heavy and somewhat dense. The second go around, I weighed my flour to 470 grams and found this was more like 3 1/2 cups of flour. Those buns, processed the same way as the first batch, turned out light and fluffy. So I’ve adjusted that in the recipe below. 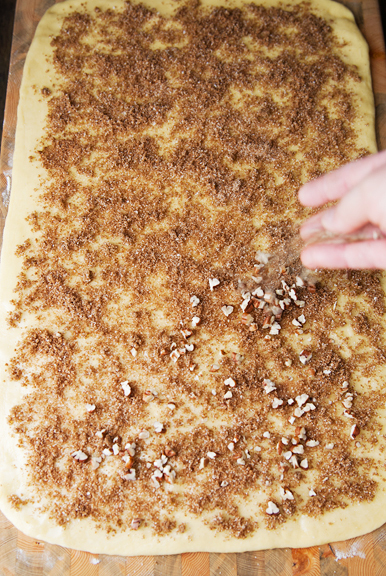 While the dough rises, you get an hour or more to prepare the caramel and the filling. 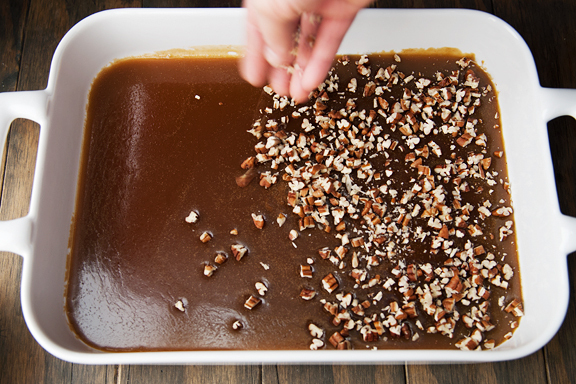 If making caramel strikes fear into your heart, not to worry. This one is straightforward and well-behaved. Make sure you have your baking dish at the ready. You’ll be coating the bottom and sides of the dish with the caramel, and that’s easiest to do when the caramel is still hot. 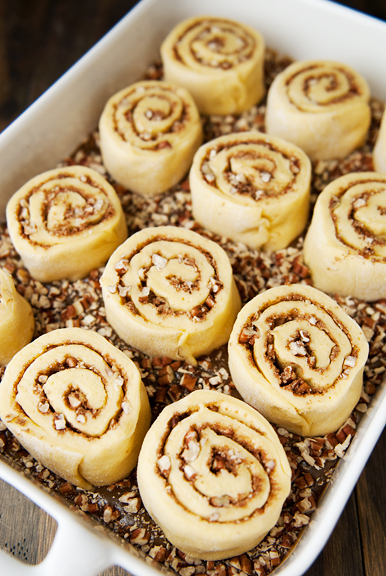 The filling consists of a layer of melted butter, chopped pecans, and a sugar-spice mix. Get those ready as your dough is nearly doubled in size. 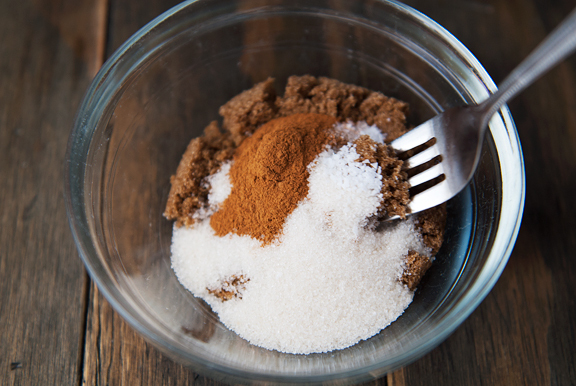 It’s okay to use your fingers to mix the sugars, salt, and cinnamon together if the brown sugar is extra clumpy or sticky. 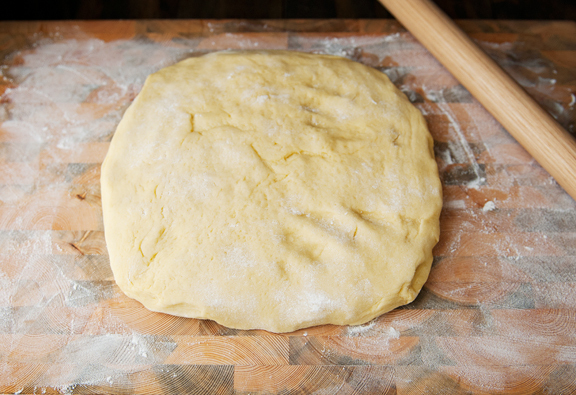 When the dough is ready, turn it out onto a floured work surface and roll it into a 12×18-inch rectangle. 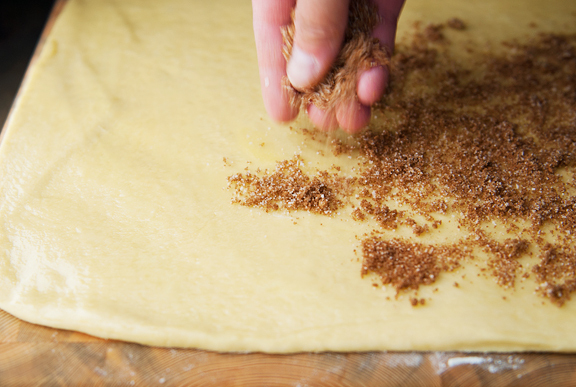 Brush the butter over the dough and sprinkle the cinnamon sugar over the entire rectangle except for a half-inch margin on one of the long edges. 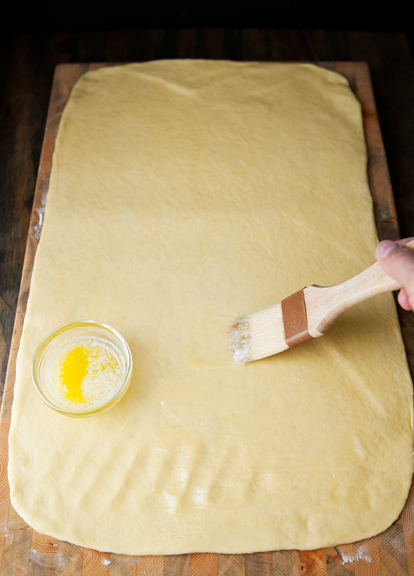 I do this because it makes it easier to seal the dough when you roll the pastry up if that final edge is only brushed in butter. Next sprinkle the nuts over the cinnamon sugar. 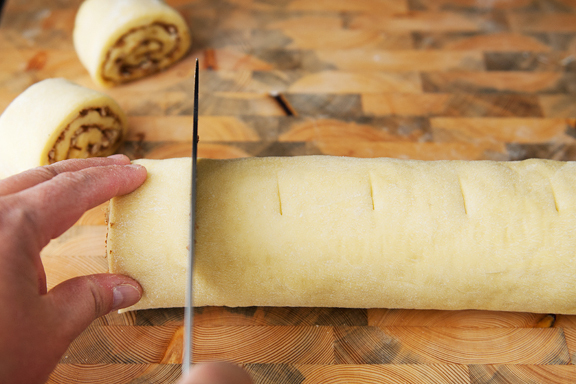 Starting at the long end of the dough opposite the half inch margin you left clean, roll the dough into an 18-inch log. I like to pinch the end of the dough onto the roll to keep it from unraveling while I slice the buns. If that doesn’t work, you can always set the roll so the seam is on the bottom as you make the cuts. When I eyeball my cuts they usually wind up uneven in width, so I prefer to use a ruler and mark off every 1.5 inches on the dough roll. Set these evenly spaced in your baking pan. At this point, you can cover the buns and allow them to proof for an hour or more before baking, or you can cover them and let them proof overnight (up to 16 hours) in the refrigerator, taking them out an hour before baking. I personally like the overnight proof because it allows more time for flavor development and it means less of a single day is sucked up making pecan sticky buns. 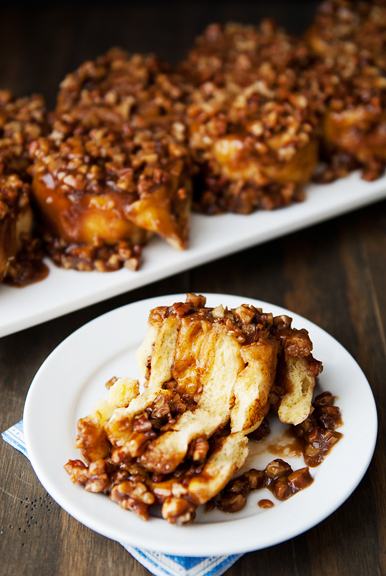 It’s also a great idea for serving homemade sticky buns to house guests in the morning. If you are never quite sure when a baked good is done baking in the oven, Deb suggests an internal temperature of 185°F is a good indicator for these sticky buns. 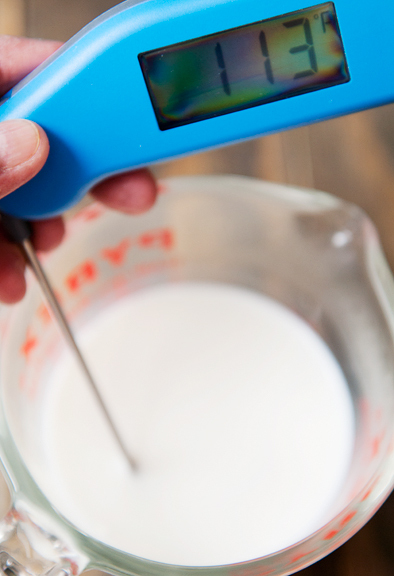 Make sure you don’t touch the baking pan with your thermometer. When the buns are done, allow them to cool in the baking dish for a couple of minutes. Set your serving platter over the pan and quickly, but carefully, invert the ensemble so the buns are now on the plate. Do it quickly so the hot caramel doesn’t spill out onto you, the counter, the floor, etc. Do it carefully so you don’t suffer a burn or a dropped pan of pecan sticky buns. 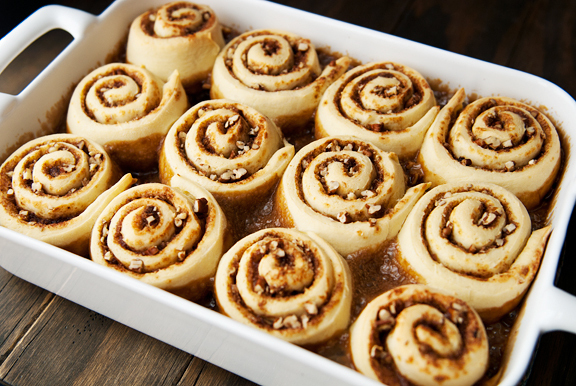 Scrape any extra caramel from the pan onto the buns because… precious. These were absolutely addictive and my neighbors were super supportive in taking the excess sticky buns off my hands! 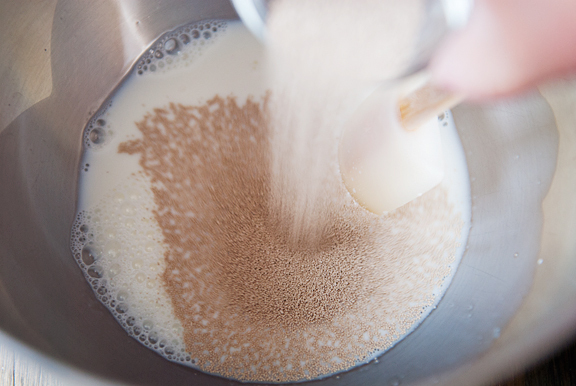 Make the dough: Place the warm milk in the mixing bowl of a stand mixer. 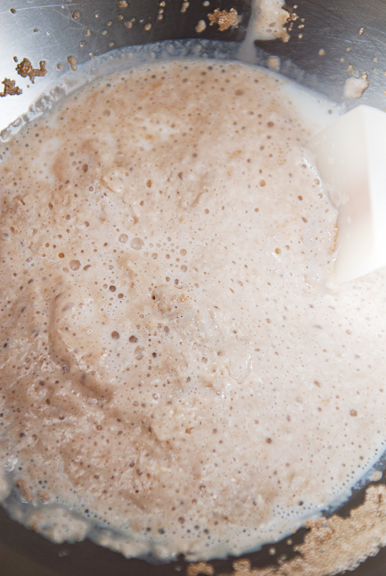 Stir the sugar and yeast into the milk and let sit for 5 minutes (it should start foaming a bit). 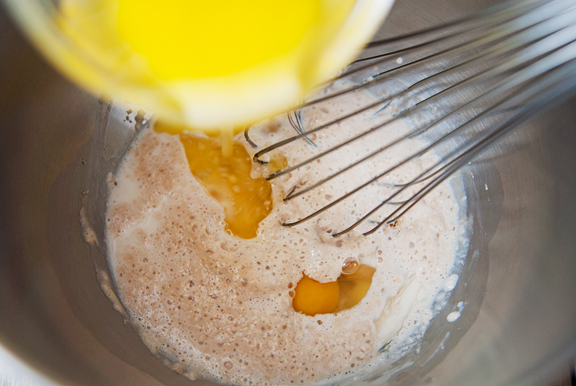 Whisk in the melted butter, egg yolks, and egg. 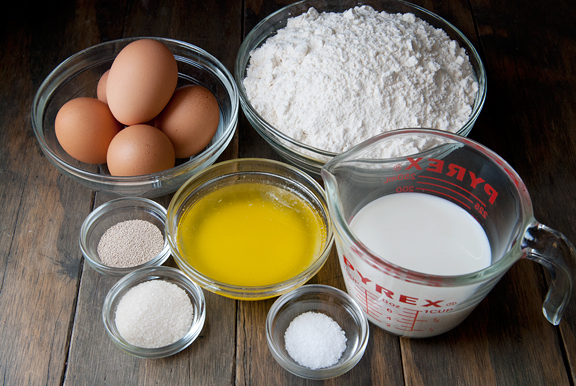 Add HALF of the flour and mix with a dough hook. 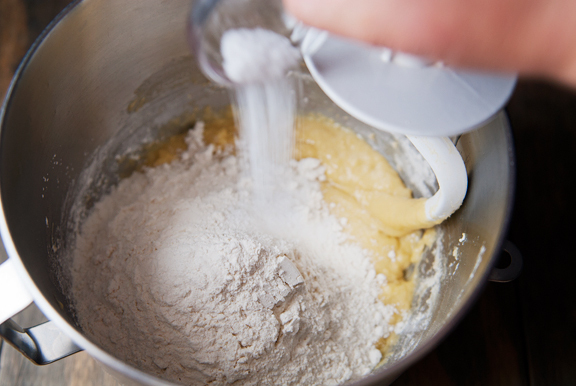 Add salt and remaining flour, mixing until the dough looks shaggy. Knead the dough for 5-7 minutes on low speed until it becomes nice and elastic. 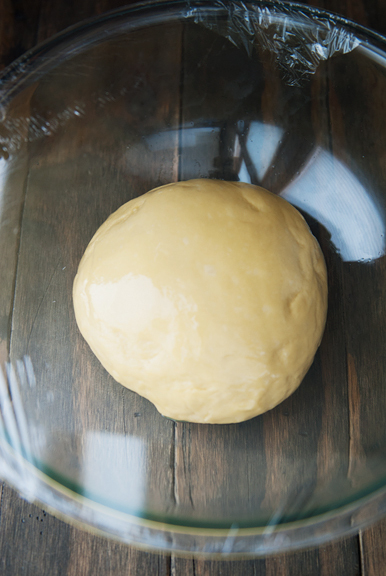 Place the dough ball in a lightly greased large bowl. Turn the dough ball over to coat the whole thing in a thin film of oil. 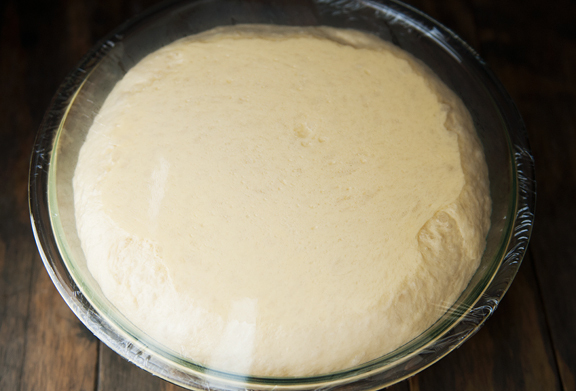 Cover and let rise in a warm place until the dough has doubled in size (about 1 1/2 to 2 hours). 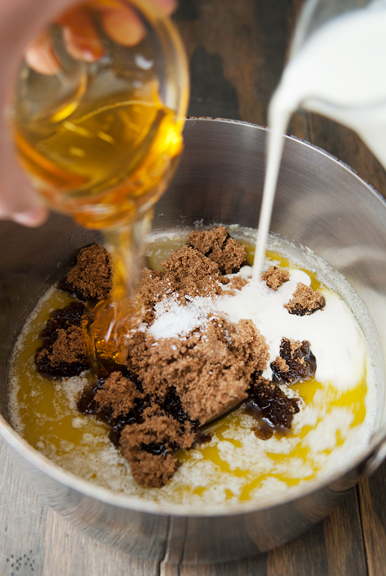 Make the caramel: In a medium saucepan, melt the butter over moderate heat. Stir in the dark brown sugar, cream, honey, and salt. Bring the contents to a boil. 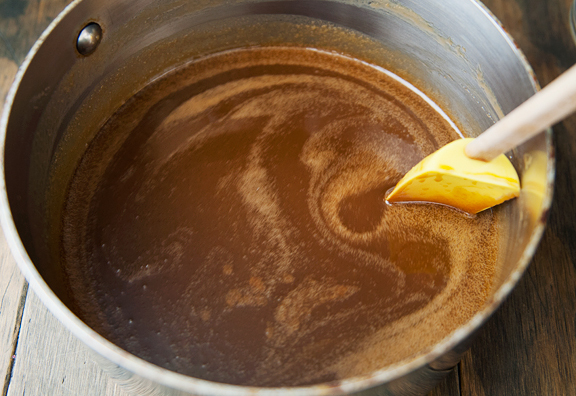 Reduce the heat to medium-low, simmering the caramel 3-5 minutes until it looks shiny and golden brown. 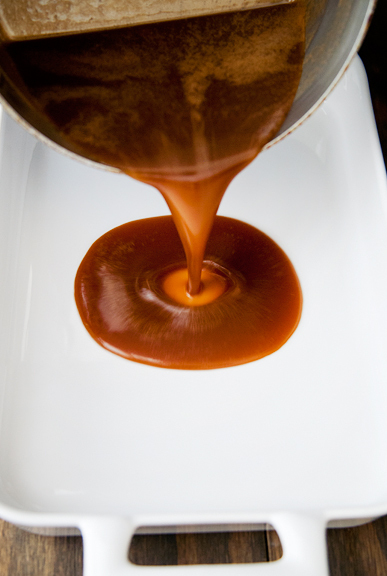 Remove from heat and pour the caramel into a 9×13-inch baking dish, swirling it to cover the bottom and partway up the sides. Let cool. 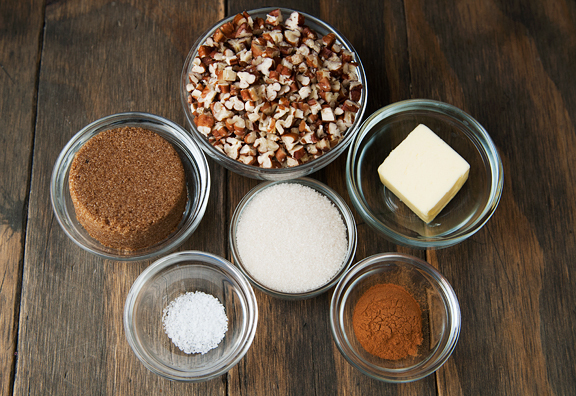 Prepare the filling: Mix the dark brown sugar, granulated sugar, cinnamon, and salt together in a small bowl. 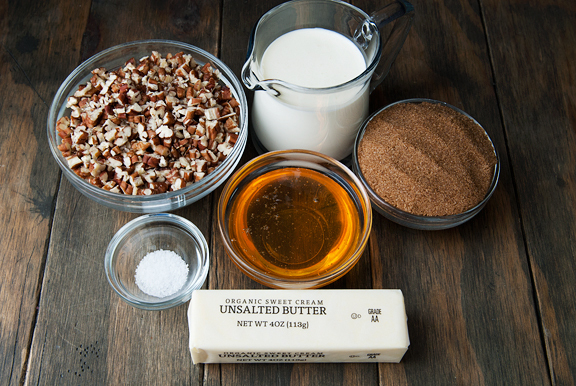 When the caramel in the baking dish has cooled, sprinkle 1 cup of the pecans evenly over the caramel. 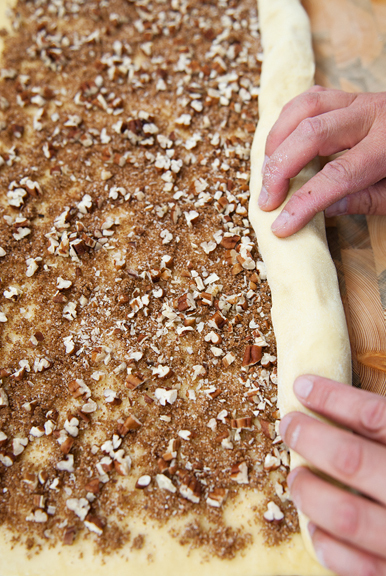 Assemble the buns: On a lightly floured surface, roll the dough out to a 12×18-inch rectangle. Brush with melted butter, then distribute the sugar mixture evenly over the dough, leaving a 1/2-inch margin on one of the longer edges. Sprinkle the remaining 1/2 cup of pecans over the filling. Starting with the long edge opposite the clean margin, roll the dough up like a carpet. Cut the dough into 12 pieces, 1 1/2-inches wide. Distribute the buns evenly spaced, cut-side up, in the baking pan. Proof buns: Seal the baking dish with plastic wrap and allow to rise until the buns expand and crowd one another (maybe an hour or two). Alternatively, you can refrigerate overnight (I prefer this for better flavor development) for no more than 16 hours and remove the buns from the fridge an hour before baking. Bake: Preheat oven to 350°F. Bake 30-40 minutes until internal temperature is 185°F. Remove from oven and allow to rest for a couple of minutes. Set your serving dish face-down over the pan and carefully (and quickly) invert the pan and dish together to avoid any caramel spillage. Scrape remaining caramel and pecans from the baking pan over the sticky buns. Serve warm. Makes 12 buns. While it looks like you’ve definitely perfected this recipe, if you are interested in a very light and fluffy sticky bun, I highly recommend the Cook’s Illustrated recipe that came out within the past year or two. It uses the tangzhong method (milk roux) for the dough, and they are ethereally light and very delicious. I made these on thanksgiving morning for the second time. They are great, aren’t they? When I saw this I said out loud “hell yeah”. After a few minutes’ though, that remains my wholehearted sentiment toward these buns. Oh yum! 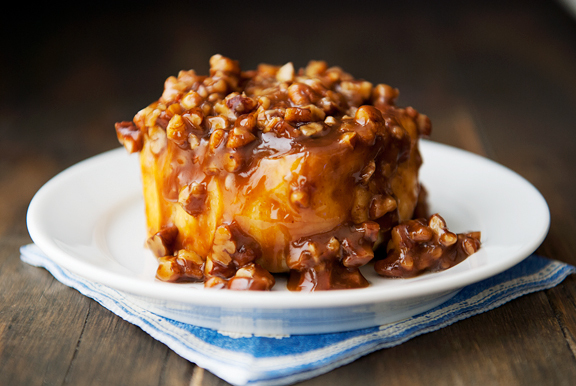 Maybe it’s time to try a new sticky bun recipe. 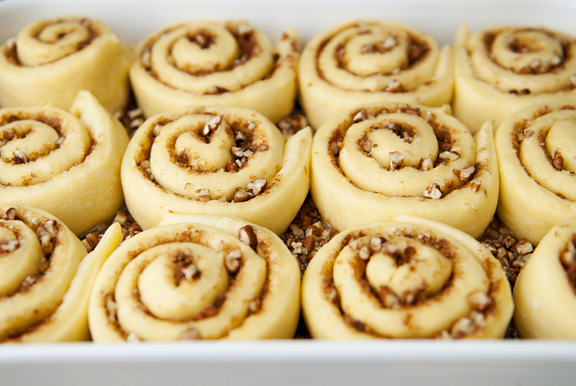 I usually just adapt my grandma’s roll dough, which is sweeter than you need for a dough that will have all of that caramel on it. Just saw Deb last night here in KC. She is delightful, and so darn funny. And, when she signs her book, she chats with you about recipes…I can’t wait to try her bee sting cake again, but upside down this time to avoid all of the almonds sliding pooling in a few spots (not that I minded choosing pieces that had more almonds). Is this recipe high altitude friendly? We are at 6500 feet. Thee years ago I was so excited to finally have a big kitchen for baking only to produce six gooey pumpkin roils. Hmm. Less sugar and more baking time and I am close to sea level results. I read that letting yeast dough rise for less time helps keep it from falling in the oven. Any suggestions on yeast baking would be arappreciated. These SCREAM Christmas morning to me! They look so, so incredibly good- cannot wait to try! I’m digging the Pav on the table following dinner w/your parents! Your a good daughter. I need to remember to exercise patience and grace MORE often when dealing w/my mom. I always feel like you know what when I lapse and think to myself “bad daughter” I live alone and should think enough of myself to bake myself these for Christmas, instead, I think I’ll order the frozen Kouign Aman’s from WS… I know. BAD…. 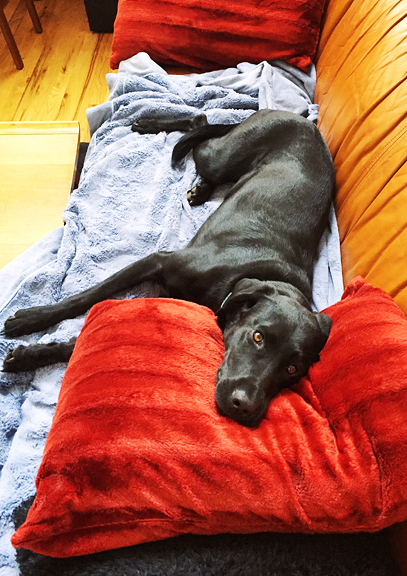 Picture of Neva on the pillows made me smile and cry, we had to put down our sweet girl, a lab, on Tuesday. I’m heartbroken, but I know it’s all part of the plan and time heals all. No puppies for me right now, but your adventures of Neva give me hope that someday I’ll be ready for another, thanks stranger friend. 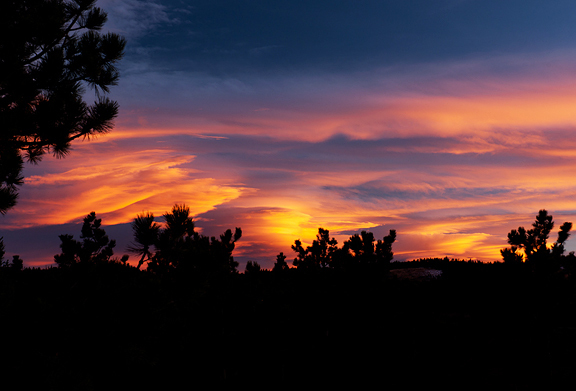 Longtime reader, fellow Boulder County-er, commenting to say these sound delicious! I’m not usually one for nuts in food but I could make an exception for these. Thanks for your blog, it’s always worth reading. Stine Mari – Thank you! Marissa – Thanks, I’m just going to have to do it now! Yum! Marjorie – So I’m at 8500 feet and I didn’t have any issues with these rolls. Usually I try a recipe at the sea level instructions (unless it’s candy making or frying, then I adjust the temperatures accordingly) and if it works, I leave it be. If it fails (happens far too often) then I begin making adjustments to see where it went wrong. Sometimes I figure it out, sometimes I don’t and just move on. Try it and see if the results are good? Karly – They are delicious.